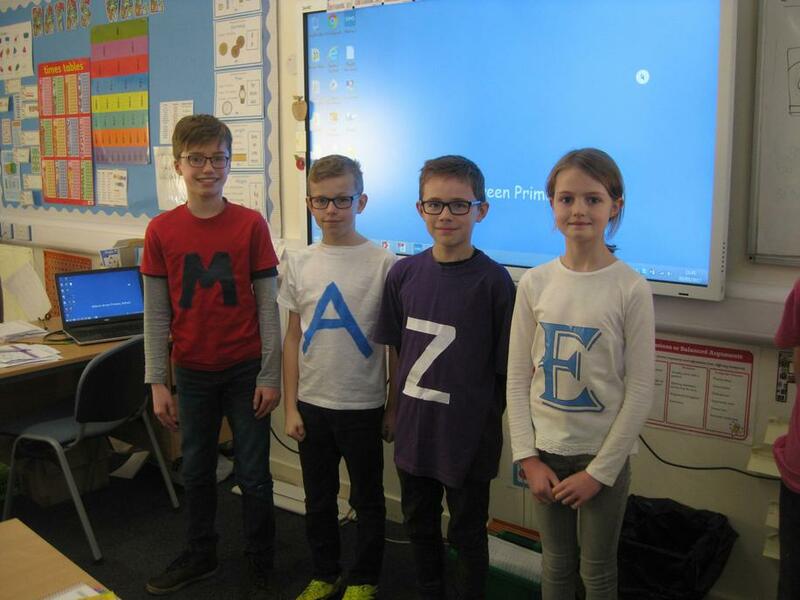 Today we celebrate World Book Day and children and adults in school have come dressed in t-shirts featuring a letter. During the day the children are stopping what they are doing to read everytime they hear Willy Wonka singing 'Pure Imagination!' They are also taking part in word games in class using their letters as visual prompts!